I mean what I say and I say what I mean. When I say “last minute,” you can trust that these ideas can be carried out in a swift manner, with little preparation, without breaking the most precious of budgets — time and money — and they’ll still convey a message of sincere thanks. This is the cookie of cookies! It’s as fun to say as it is to eat and the best part of gifting Snickerdoodles is that the kids can do most of the work. Want proof? This recipe came from the children’s book, “Christmas Cookies! A Holiday Cookbook”. Don’t let the title throw you off; summer break is absolutely considered a holiday in my home. 1) In a large bowl cream butter and sugar until light and fluffy. Add eggs one at a time and mix until well blended. 2) In separate bowl sift together flour, cream of tartar, baking soda, and salt and mix well. Gradually add the flour mixture to the creamed mixture until the dough is smooth. Cover the dough and chill for one hour. 4) Shape dough into 1 inch (2.5 cm) balls. Combine the sugar and cinnamon and roll the balls in the mixture. Place 2 inches (5 cm) apart on cookie sheets. Bake for 10-11 minutes, until edges are golden. 5) Transfer sheets to wire racks and let stand until cookies are firm, about two minutes. Then transfer cookies with a spatula to wire racks to cool completely. Have your kids choose the packaging and then decorate. A shoebox works great and can be covered with tissue paper and decorated easily with stickers or drawings. You can also buy a Dollar Store box and package the Snickerdoodles with layers of parchment or tissue paper between the cookies and top it with an extravagant bow. If you have an oven and 20 minutes you can make enough candy to satisfy Willy Wonka’s sweet tooth. It’s true! Poor Man’s Turtles require one quick stop into the Bulk Barn for three ingredients. This sounds too simple to be anything, but trust me, once your child’s teacher tastes these morsels, you’ll be the one receiving thank you for your thank you treat! 1. Simply line a baking sheet with parchment paper, place your pretzel twists on the parchment with a small space in between so they don’t stick together. If a couple do stick together, it’s not a big deal. 2. Next place your chocolate covered caramel on each pretzel in one of the little holes. Pop the cookie sheet into a preheated 275 degree oven for 3 minutes tops. 3. 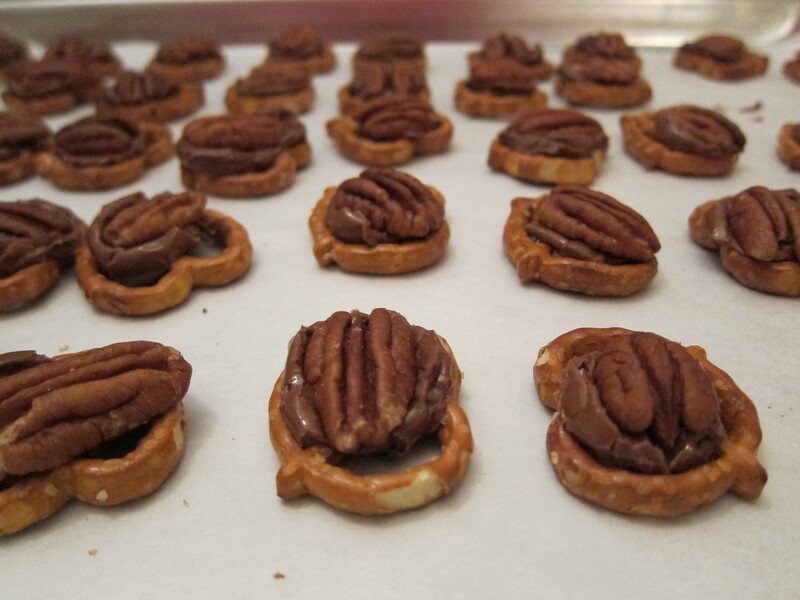 Remove the now delicious-smelling pretzels from the oven and press a pecan half into each caramel. My kids do this on their own. 4. Let the treats cool before packaging them up for giving. I have done this so close to the last minute that I’ve popped the cookie sheet into the freezer for about 10 minutes, to speed up the boxability. 5. A Chinese takeout box works really well for boxing them up. You can find these in craft stores, bulk stores, or even the dollar store. Place a parchment layer between the treats so nothing sticks. Have the kids make a tag and tie it to the little wire handle with a ribbon and you are a Poor Man’s Turtle pro! This is self explanatory, no? Teaching is not an easy job. No job is like it and good teachers throw themselves into their work like nobody’s business. They don’t just show up, punch a clock, go through the motions, and then clock out at the end of the day. Good teachers care an awful lot about their kids. So when the end of the year comes and your little student is about to say goodbye to a special teacher who has made a difference in his or her life, a special gift from the parents might be just the thing to convey how thankful you are. If you know your child’s teacher and you have connected well, this is a great gesture of understanding, especially after a trying year. Some years are better than others, but there’s no better way to kiss a doozie of a year goodbye than with a toast to brighter days. 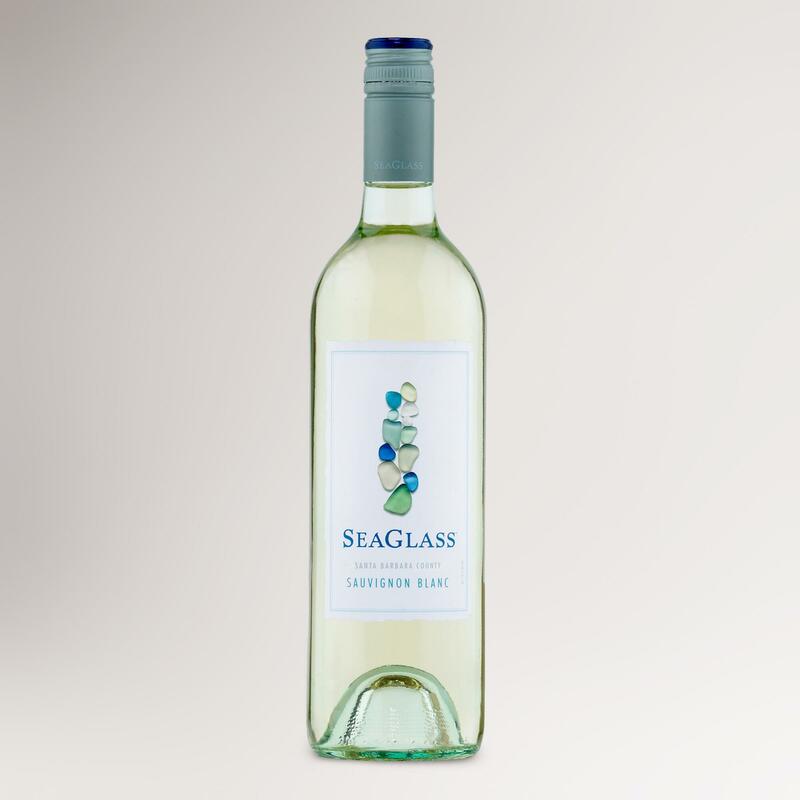 It’s helpful to know that a gift of wine will be appreciated, so ask — preferably before Grading Day. If you’re not certain it will go over well, then don’t. There are so many beautiful books that can be given to show your appreciation to your child’s teacher. A book can do double duty as a card if you write a personal note of thanks inside the cover, plus it’s practical as it can be put into the class library immediately. It is more than just a thing; if you choose well, it will also pull at the heartstrings of its recipient and your sentimental side will feel pretty special. Miss Rumphius by Barbara Cooney – A beautiful American Book Award winning story by a Caldecott winning author about the “Lupine Lady” who scattered seeds everywhere she went. Mrs. Spitzer’s Garden by Edith Pattou – A simple yet moving story of a teacher and gardener who tends carefully each year to assure the best “crop” leaves her at year’s end. I have given this book to only a few very special teachers and they knew exactly how much they were appreciated. Teaching: It’s Harder Than It Looks by Gerry Dee – With a motto like “Teach Hard!” you know this book is going to be a hilarious look at one former teacher’s adventure in teaching. It’s a humorous look at exactly what teacher’s have gotten themselves into. Maybe save this for a teacher you’re sure has a very good sense of humour and who will take it in the spirit with which it was intended. 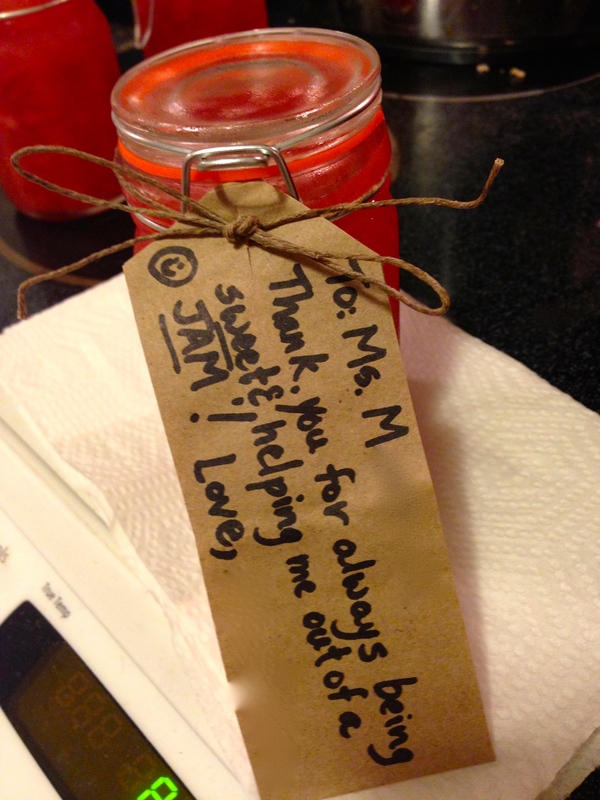 If the weather has been cooperating and you have a “U-Pick” berry farm nearby, making jam with some of your bounty is a great way to prepare your fruit, but it’s also a nice way to let a teacher know our child has nice memories of him or her preserved. Refrigerator or Freezer jam is a fantastic and speedy way to go. The kids can help prepare the fruit and have fun mashing it and mixing it with sugar and pectin. There is some serious joy to be had in the squishing of fresh strawberries. You have to try it! You can even make a healthier version using chia seeds to thicken the jam instead of pectin. Add a simple homemade tag with a silly or sentimental message and your child’s favourite teacher will know how sweet you think she is. You’re busy and time is tight, but with a very short list and a little helper or two, you can give a great gift of thanks without breaking the bank. Your kids will feel proud that they played a big part and your child’s teacher will definitely feel appreciated. And really – isn’t that the whole point? Oh my goodness! Guess what? We just decided this afternoon that that is *exactly* what we will be making for our bus driver. He’s been a really good guy. He deserves a sweet treat. Snickerdoodles! Snickerdoodles! 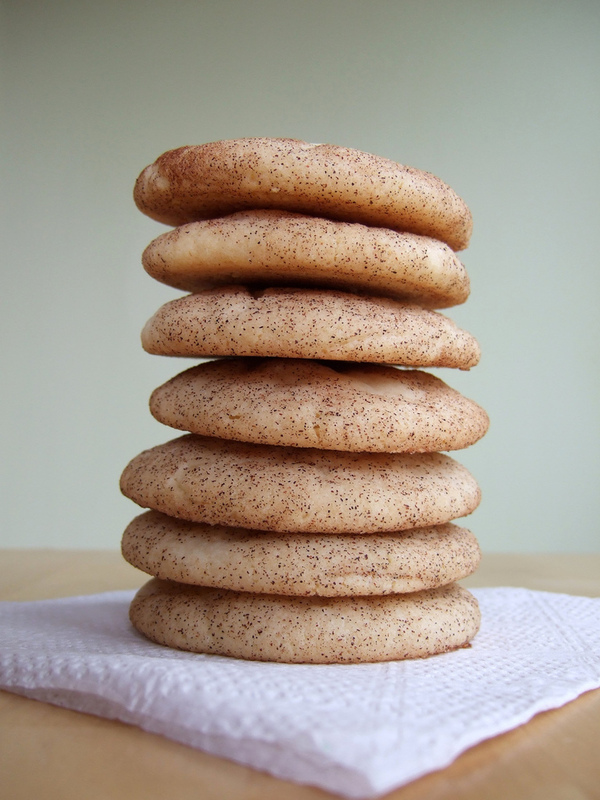 Snickerdoodles! LOVE! LOVE! LOVE! See?!? It really is fun to say, isn’t it? You have to hear my daughter saying it. She cracks me up! Wish I was a teacher. Hi there! It’s Monica from glamjulz! Love your post and wanted to let you know that every year we hand make bracelets for $25 that feed students! Each bracelet purchased feeds 5 kids! Any orders we get by June 23rd (tomorrow) will arrive before the last day of school. Here is a link to our bracelets, each one comes with a special card, explaining the cause.